How is the Bible like an elephant? It's really big. It's best consumed and enjoyed one bite at a time. 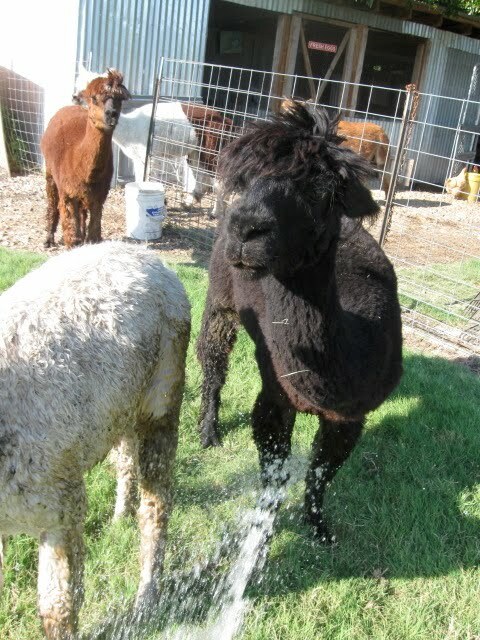 Boaz likes his straight from the hose. So we are doing something we've never done before since we've lived on this property. 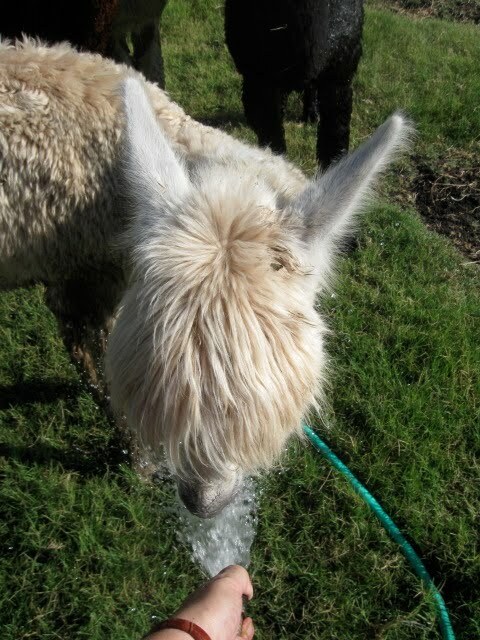 Watering. We had to go out and buy a sprinkler. Itzhak wants to know if it tastes good. There's plenty of shade in the north pasture, just no more grass. 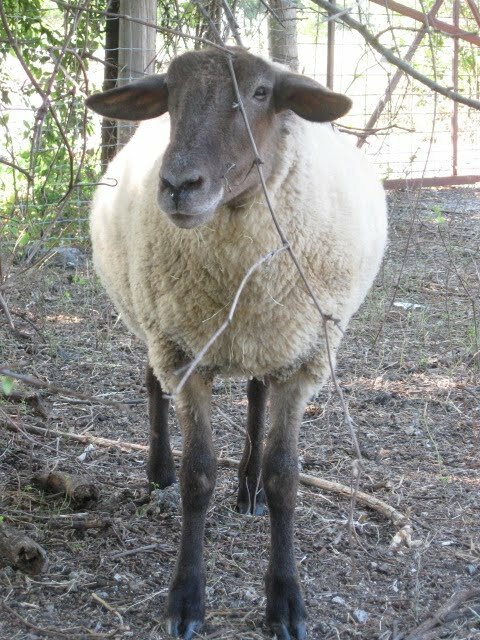 Judah has overcome his fear of the scary electric netting (which has been put away) and has joined the sheep in the north pasture, where he can keep an eye on everyone from the deep shade of the grape-covered Hackberry trees. Though the pickings are slimmer in the pasture, Shadrach is living proof that the sheep have not lost any condition, in spite of the extreme weather. I am so grateful - not all my shepherd friends have been so lucky. We are praying that this spell of high temperatures will end soon, and allow the fields to support their flocks once more. 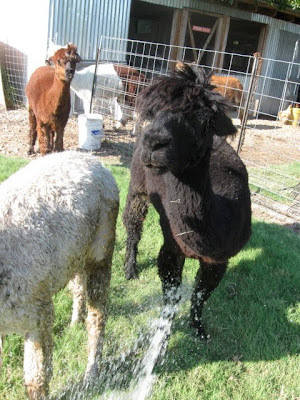 Busy trying to keep the alpacas and cats cool. Artisan Spotlight - "Share the Harvest"